People are excited about the O.J. Simpson documentary for ABC and ESPN. People are excited about ESPN's five-part mini-series, "O.J. : Made in America" that airs on both ABC and ESPN starting on June 11. The series not only debuted at Sundance earlier this year, but was screened in entirety at the Tribeca Film Festival a few weeks later. There's been buzz about this acclaimed series and many critics have already seen it. Because it is airing on several platforms, the schedule can be confusing. Is it streaming, will it air on TV, or both? Here's a quick list that should help. Part 1 - Saturday, June 11 on ABC at 9 p.m. EST. Part 2 - Tuesday, June 14 on ESPN at 9 p.m. EST. Part 3 - Wednesday, June 15 on ESPN at 9 p.m. EST. Part 4 - Friday, June 17 on ESPN at 9 p.m. EST. Part 5 - Saturday, June 18 on ESPN at 9 p.m. EST. (AP Photo) Buffalo Bills running back O.J. 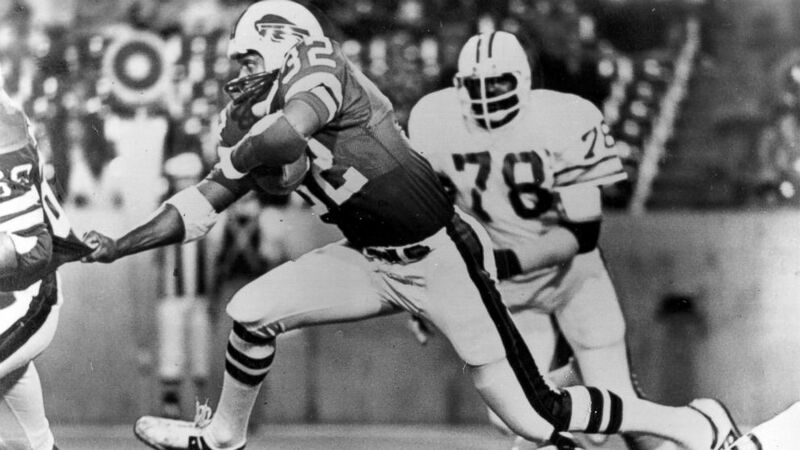 Simpson (32), strides over teammates during a football game against the Tampa Bay Buccaneers in Buffalo, N.Y., September 3, 1977. ESPN will air the prior episode each night and past parts during the week. A full schedule is up at ESPN.GO. Along with watching it on TV, the ESPN app will have it in full starting June 14. A DVD will be available as well on July 19 and you can pre-order on Amazon.